A French climber known as Spiderman for his amazing feats has climbed one of the world's tallest buildings, in Malaysia, on his third attempt. Witnesses said it took Alain Robert, 47, just over two hours to complete his ascent of the 88-storey Tower Two of the Petronas Towers in Kuala Lumpur. He has scaled many of the tallest buildings, using no safety equipment. Mr Robert was reported to have been arrested for trespassing on completing the feat. Mr Robert began his climb of the 452m (1,483ft) tower before dawn, after apparently eluding security, and reached the top by 0730 local time. Once there, he unfurled a Malaysian flag and waved his arms in celebration. "He climbed using his bare hands and reached the top very fast as no security personnel noticed him or stopped him," said Ee Wee Kiat, a cameraman who filmed the ascent. It was Mr Robert's third attempt to conquer the Petronas Towers, the third tallest building in the world. On both previous occasions - in March 1997 and again in 2007 - he was arrested on reaching the 60th floor but released without charge. "With due respect to Malaysia, I came to finish something," he told news agency Reuters before he set out. "Climbing the Petronas all the way to the top is one of my dreams," he said, describing himself as determined but also "a little bit stubborn". 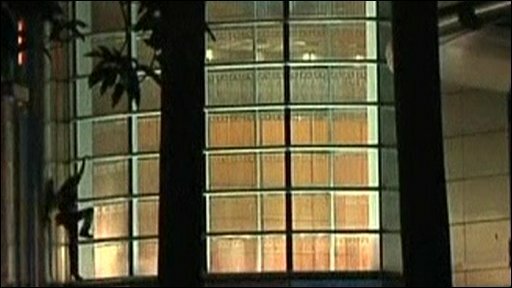 Mr Robert was reported to have been detained by Malaysian police as he went back into the building on the 88th floor. Kuala Lumpur police chief Muhammad Sabtu Osman said he could be charged with criminal trespass. "He climbed the building without a permit from the management," he told the AFP news agency. Mr Robert has climbed more than 70 buildings in his career, always without ropes, and has had several serious falls, resulting in fractures and operations. In February this year, he scaled the 62-storey Cheung Kong Centre in Hong Kong to draw attention to the issue of climate change. He has also conquered the Eiffel Tower in Paris, the Golden Gate Bridge in San Francisco and Taipei 101 in Taiwan, which at the time was the tallest in the world.